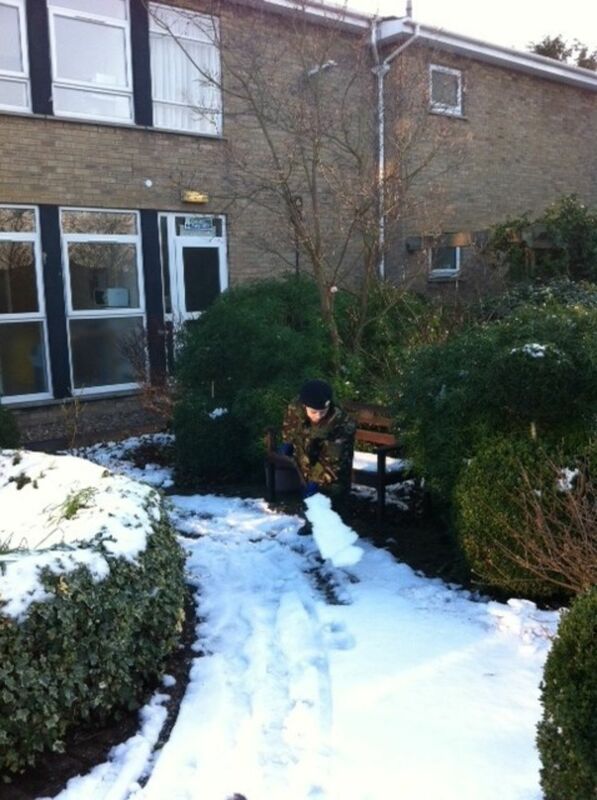 On 7th February Army cadets from The Priory City of Lincoln Academy were first to respond to the call for help, to clear an elderly peoples care home from snow covered grounds. 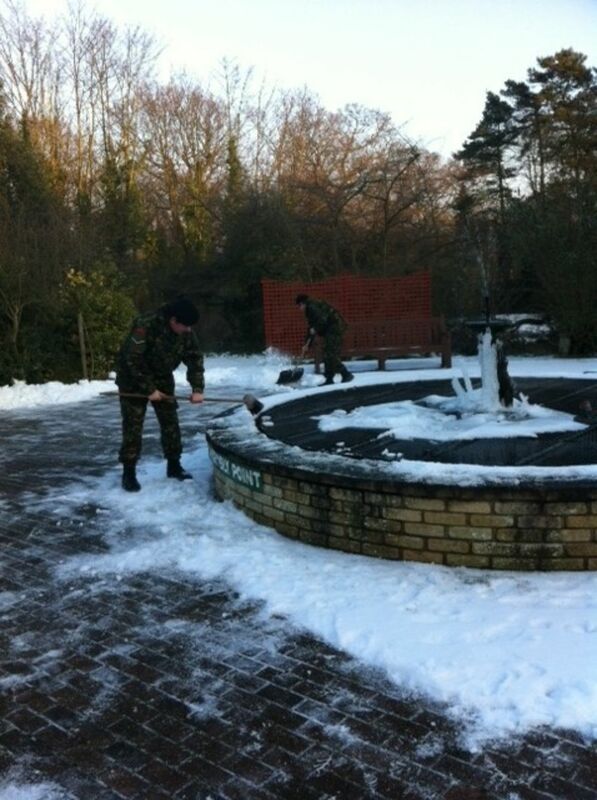 Stones care home on Skellingthorpe road for the elderly have recently lost their grounds person, the Army cadets volunteered to help with the up keep of the grounds, but with the onset of the cold snap their duties and sense of responsibility drove them to go that little further. 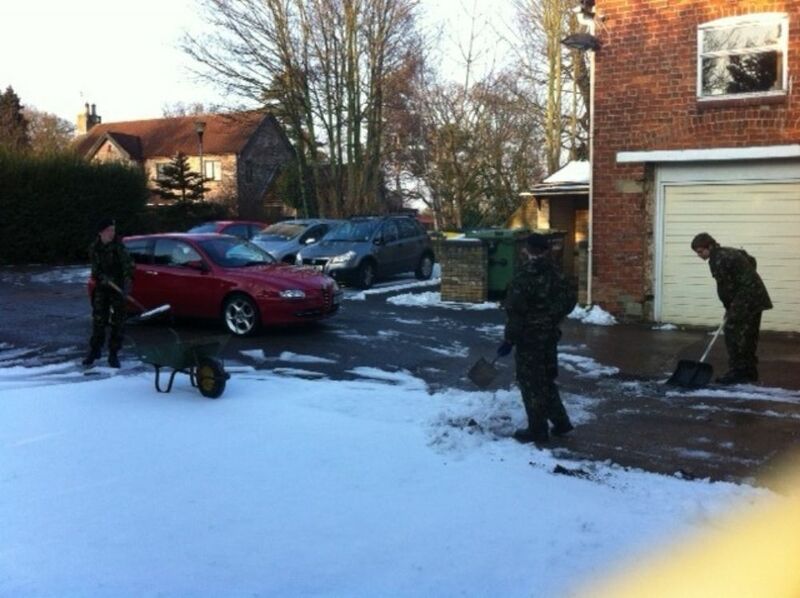 The cadets armed with snow shovels, wheel barrows, brushes and a large sense of duty boarded a school minibus and set off on their mission to help the elderly of their community. The cadets braved the sub-zero temperatures for a number of hours clearing paths, car parks, exits, entries and driveways. 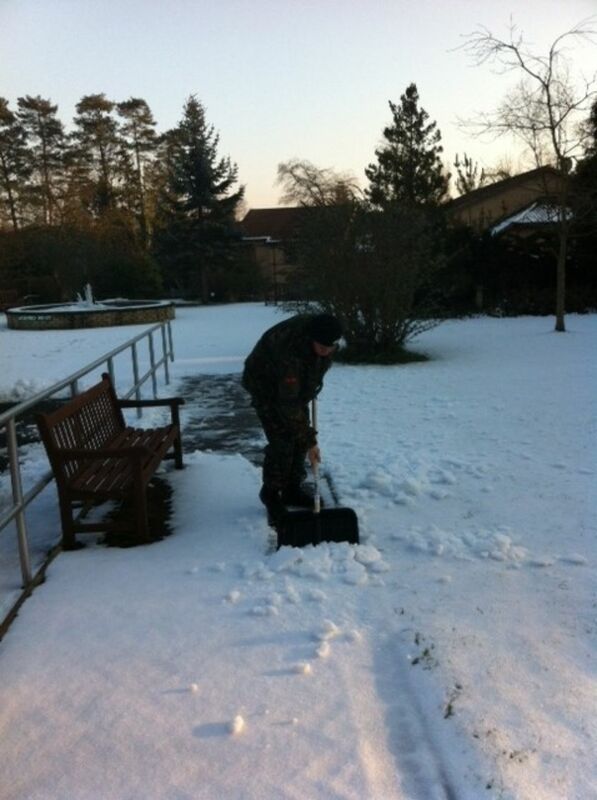 Stones care home provided much needed sustenance in the form of hot beverages and biscuits which the cadets were very grateful for. 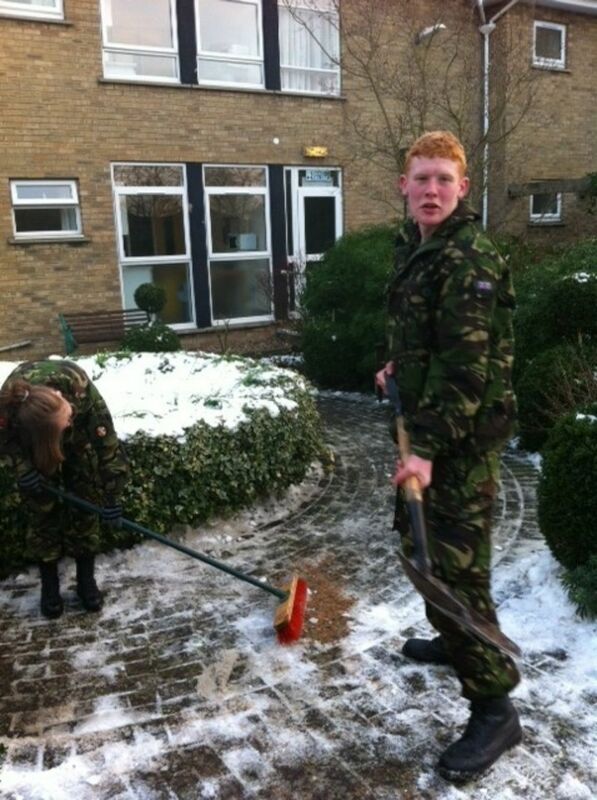 The Army Cadets of The Priory City of Lincoln Academy can be truly proud of their hard work, their commitment to selfless acts of kindness. 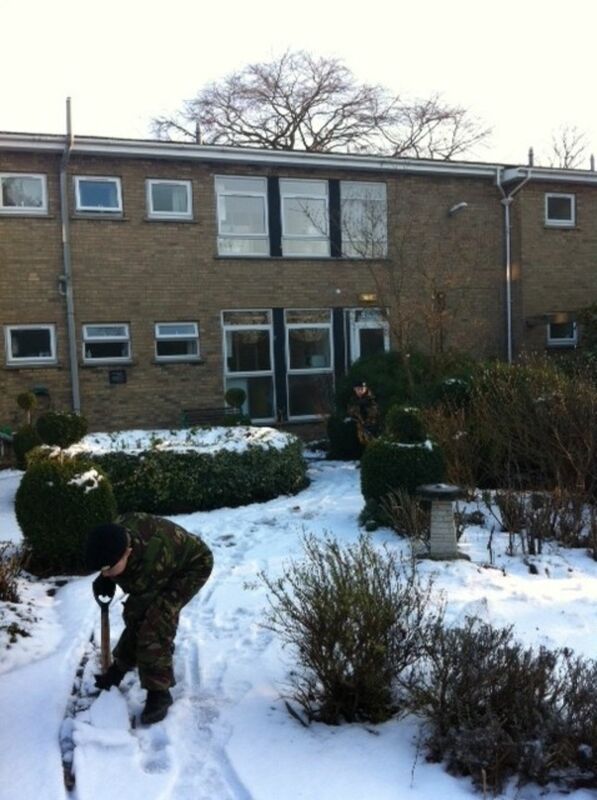 This commitment now sees the cadets tackle the grounds as a whole with the planting of vegetables for use in the homes kitchen along with a larger project of clearing a large wooded area enabling the residents to stroll amongst the trees and use their wheel chairs once the weather improves. The future now looks a little sunnier for the residents of Stones care home.